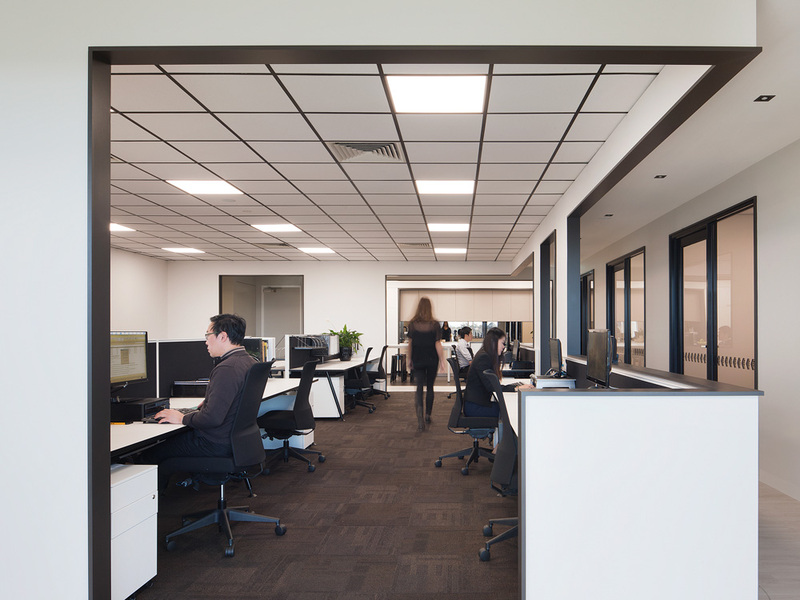 A workplace project overlooking St Kilda Boulevard, the existing condition was an empty shell within a commercial tower. Molecule’s brief was to provide a smart headquarters for a property development business, providing reception, client meeting rooms, management offices, staff kitchen and an open-plan workspace. The design challenge was imbuing the space with a distinctive quality without the requirement for explicit branding; our design response was to employ a singular circulation device – a ‘runway’ of sorts – that provides a continuous loop throughout the floor plate. Views between spaces and to the Boulevard beyond are framed by expressed openings within the walls that define the runway.